The Department of Education (DepEd) and various industry partners inked pact for the Senior High School (SHS) Program requirements which include information on industry job qualifications, work immersion of students, use of facilities, training of teachers, donation for infrastructure, equipment and other needs. 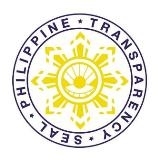 “In the past our partnership were merely focused on the support from non-government organizations and the business sector to augment limited resources from national and local governments such as building classrooms, providing seats, computers as well as other kinds of funding. This particular partnership actually brings up our engagement with the industry to an entirely different level. This time we are focusing on curriculum development and scholarships for teachers,” Education Secretary Br. Armin Luistro FSC stressed during the signing of the Memorandum of Understanding (MOU). The industry partners have committed to support DepEd for the nationwide full implementation of SHS under the K to 12 Program. The partnership aims to offer relevant SHS subjects and activities that would help every graduate to be ready for higher education and training, or for the world of work through employment or entrepreneurship. This will also help address the job-skills mismatch in the country. “It is my firm hope that as we institutionalize the reforms with industry sector, we are actually giving our people an anchor to be able to say elections and leaders come and go but the real reforms that we need to do are firmly institutionalized quietly in programs we are doing and which we will be doing,” the education chief added. The industry partners agreed to encourage and influence their members to implement programs on job profiling and skills mapping; tie up with DepEd field offices or specific schools by providing support and opportunities for work immersion for students, teachers training, and use of facilities; help schools in addressing resource gaps through donations; and accept for employment applicants who have completed SHS from any private or public school in the Philippines subject to other required qualifications. DepEd shall advise regional and division offices as well as the schools offering SHS regarding this MOU and to encourage them to cooperate with the said organizations; and provide assistance in the form of giving advice, data or information necessary to enable them to effectively implement programs. It will also provide tax incentives for donations under its Adopt-a-School Program. Among the industry partners are the Philippine Chamber of Commerce and Industry (PCCI) represented by its President, Mr. Jeorge Barcelon; Chamber of Commerce of the Philippine Islands, Inc. (CCPFI) President, Consul-General A.H. Jose Luis Yulo, Jr.; American Chamber of Commerce of the Philippines, Inc. (AmCham)) Executive Director Ebb Hinchcliffe; European Chamber of Commerce of the Philippines Inc. (ECCP) President Guenter Taus; Korean Chamber of Commerce of the Philippines, Inc. (KCCP) President Ho Ik Lee, German-Philippine Chamber of Commerce and Industry, Inc. (GPCCI) President Bodo Goerlich; Employers Conferdation of the Philippines (ECOP) President Edgardo Lacson; Semiconductor and Electronics Industries in the Philippines, Inc. (SEIPT) Chairman Arthur Tan; IT and Business Processing Association of the Philippines (IBPAP) President Jomari Mercado; Management Association of the Philippines (MAP) President Perry Pe; People Management Association of the Philippines (PMAP) President Jesse Rebustillo; Philippine Business for Education President (PBed) Chito Salazar; and Makati Business Club Chairman Ramon del Rosario, Jr.